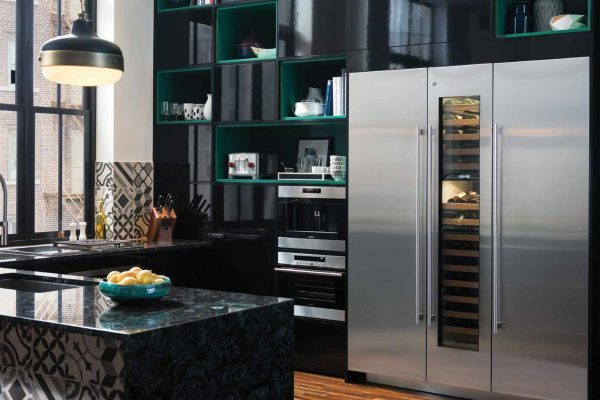 While embracing of-the-moment interior design ideas can be a fun way to freshen up a home, people tend to shy away from trends when building or remodeling their kitchen. 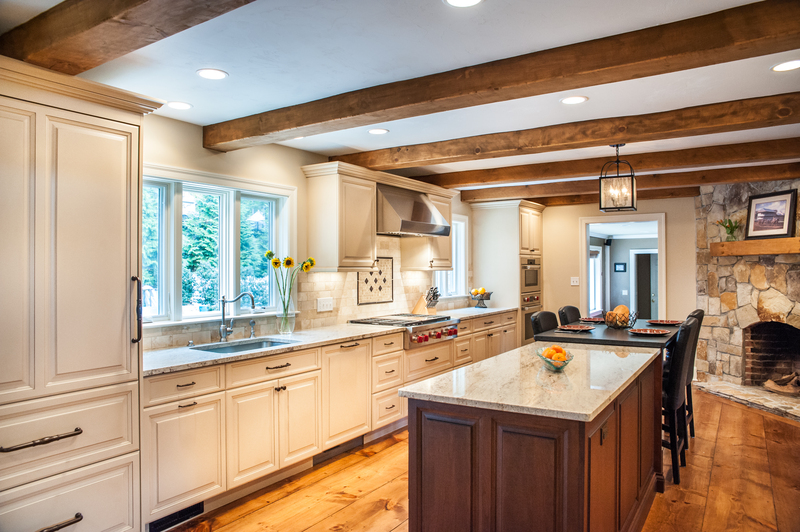 Because remodeling a kitchen is a significant investment, and going without a kitchen while renovations are underway is disruptive, the average time between kitchen renovations is typically about 15 years. With this in mind, homeowners tend to opt for timeless design choices. 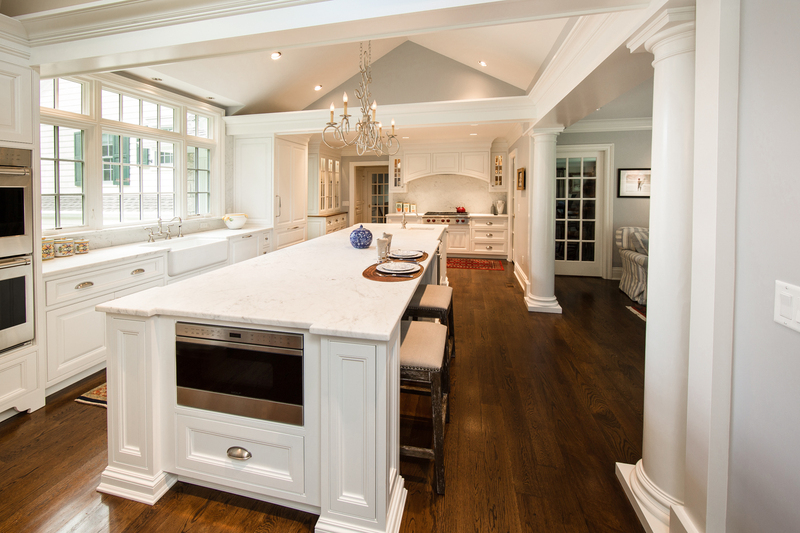 When it comes to kitchens, nothing is more timeless than white-on-white. 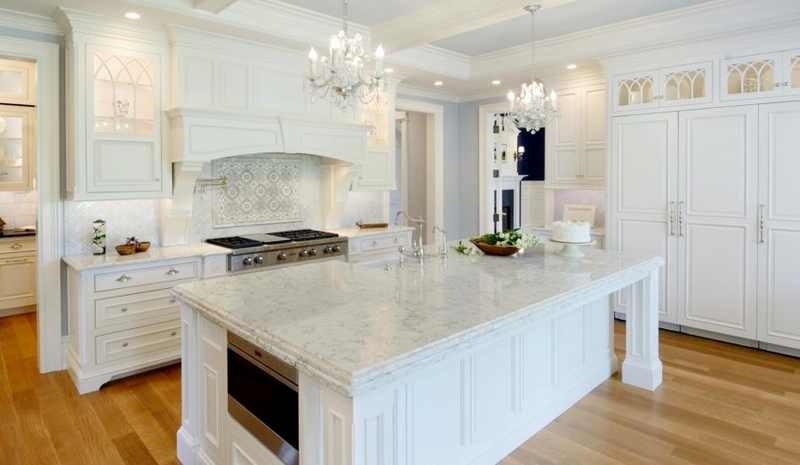 With cabinetry and countertops both on the higher end of the cost-per-element scale, white – or nearly white – reigns supreme. Add warmth, texture and visual interest with wall color, light fixtures and hardware, as New England-area designers have in these kitchens. In this kitchen, designed by Valerie White of White Architects in Monroe, CT, extensive use of custom millwork adds texture throughout the space. The gray wall color is both on-trend and classic. A chandelier positioned over the island is an unexpected choice that adds sophistication and a sense of Old World glamour. This kitchen, in a home that is an exact replica of Thomas Jefferson’s Monticello, includes custom cabinetry from Vartarian Custom Cabinets in Palmer, MA. Hardwood flooring in a honey hue adds warmth to the space. Intersecting Gothic arches on the glass doors of the upper cabinetry lend period-appropriate detail as do the chandeliers over the marble-topped island. 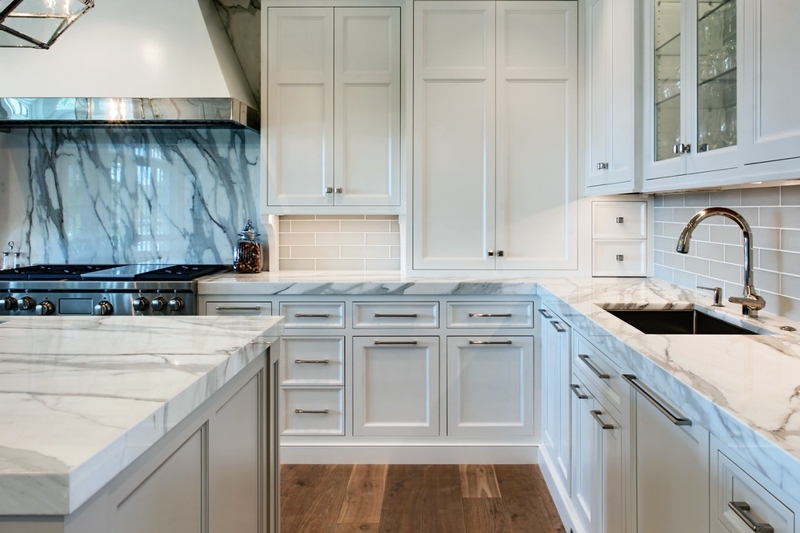 Thick, polished marble with gray striations, on the countertops and backsplash over the range, takes center stage in this kitchen designed by Jennifer Stuart of Metropolitan Countertops & Cabinetry in Norwood, MA. Sleek, oversized cabinet and drawer pulls perfectly complement the gray in the marble and add to the architectural interest of the millwork. A great option for inserting a touch of color into a primarily-white kitchen is to go with an island in a contrasting color or wood tone. A black center island and nearby wet bar creates a striking sense of contrast in this kitchen designed by Donna Venegas of Venegas & Company in Boston. A black countertop and ebony-stained hardwood floors makes the space feel balanced and encourages the eye to move about the room, appreciating in its entirety. Here, designer Claudette Andrew of the Westborough Design Center has added warm wood throughout the room. The wide-plank floors, wood-stained island and exposed beams overhead give the room a rustic feel. When it comes to creating a stunning white-one-white kitchen the devil is very much in the details! Photos courtesy of Clarke Appliances.